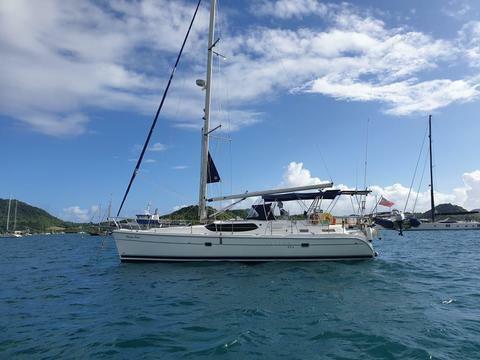 A fully equipped Bavaria 46 Cruiser, in an excellent condition, only family use, with regular servicing. She is a comfortable yacht ideally suited to short and long distance cruising. it has 4 cabin model that features a huge double stateroom forward cabin, bunk room with 2 berths and 2 large double aft cabins. First owner - A real bargain - looking for a quick sale! price: $ 180,000 (≈ € 160,000), VAT incl. price: € 217,000, VAT incl. price: £ 149,000 (≈ € 172,315), VAT incl. price: € 120,000, VAT incl.